Save the date: September 24-28, 2017! 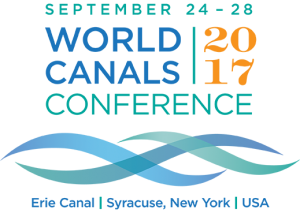 The 2017 conference will explore and celebrate inland waterways as agents of transformation: Once mothers of cities and ports, transformers of landscapes and builders of nations; now drivers of community revitalization, makers of power and suppliers of essential water. The conference will also reveal how the Erie Canal, North America’s most important and longest lasting manmade waterway, helped Syracuse transform from a cluster of huts in a swamp to a center for manufacturing, commerce and education. There will be presentations about operation and maintenance of historic canals, environmental issues, economic and community revitalization, tourism, recreation, historic preservation, and interpretation. Conference events, many of which will be open to the public, will showcase the city and region’s canal heritage on a global stage: in, on and around the waterway.